I’ve been playing the cornet since the age of 6, and had lesson throughout primary school, quickly getting the hang of it all I joined the Greenalls Brass band at the age of 8 on 3rd cornet. Being in a adult band at such an early age meant that I quickly learnt the tips and tricks of the trade and developed a love of brass band repertoire . 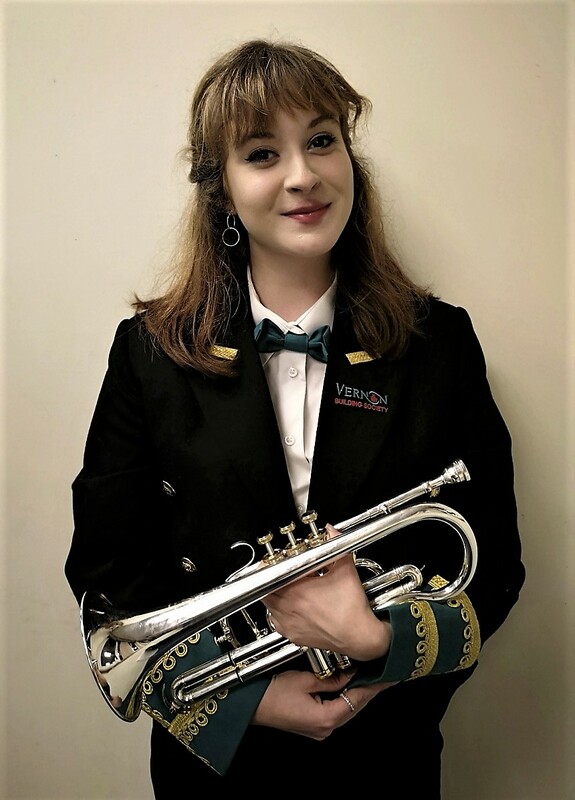 My cornet playing became more advanced as I grew up and in 2015 I preformed the cornet solo ‘’The Nightingale’’ in multiple Christmas concerts. This was a major achievement. In 2015 I auditioned for the Fodens Youth Brass Band, and got the position of 4th man down, a position I was extremely proud of as I had never sat on solo cornet before. Here I met Mark Wilkinson the Principle of Fodens band, who then became my teacher. In 2016 I auditioned for the Halle youth Orchestra and held the position of 3rd Trumpet for 2 terms and ended my time at the orchestra with a tour to Lake Garda in the summer of 2018. During my time with the orchestra we played the likes of Tchaikovsky, Respighi, Elgar and Dvorak. In June 2017 I left Greenalls band to join VBS on 2nd cornet. I currently sit on 4th man down, and love the challenge the seat brings, I feel like not only has joining the band helped my confidence grown but my playing has improved rapidly. I currently hold the Principle cornet seat of the Fodens Youth Band.